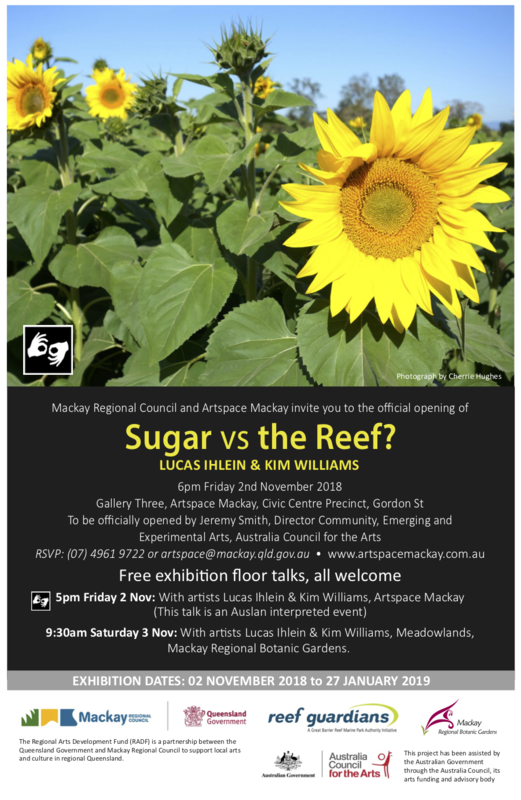 Kim Williams and Lucas Ihlein – Sugar vs the Reef? Exhibition dates: 3 Nov til 27 January 2019. Exhibition to be officially opened by Jeremy Smith, Director Community, Emerging and Experimental Arts, Australia Council for the Arts. Artist Site Talk Saturday 3 November, 2018, 930am at The Beacon, Mackay Regional Botanic Gardens. The creation of a botanical artwork featuring agricultural species at the Mackay Regional Botanic Gardens, accompanied by workshops and events. Engage with public education through schools (including with the Great Barrier Reef Marine Park Authority’s Reef Guardians program). 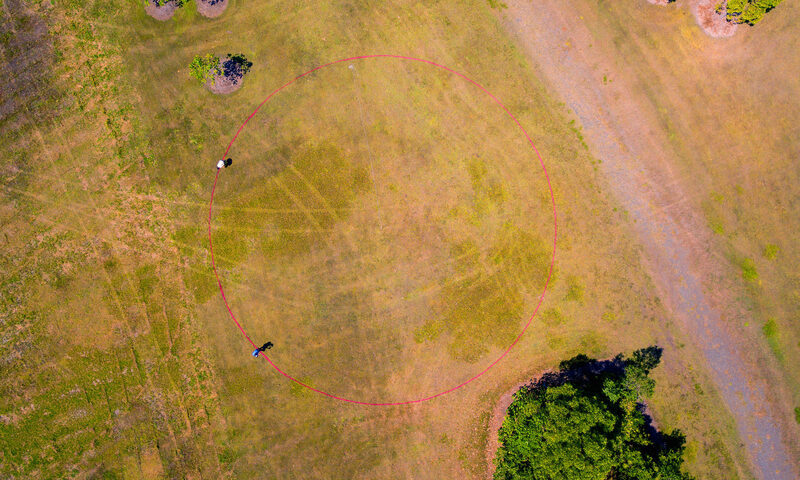 The artists (Lucas Ihlein and Kim Williams) live in Wollongong NSW and have been working regularly in Mackay since 2014, at the invitation of local farmers and community activators John Sweet and Simon Mattsson. Throughout 2015-17, the focus has been on building relationships within the Mackay community, as a foundation for new collaborations such as this project. The Watershed project involves collaboration between artists, farmers and members of Mackay & District Australian South Sea Islander Association (MADASSIA), Yuwibara Aboriginal Corporation, Central Queensland Soil Health Systems, the Great Barrier Reef Marine Park Authority (GBRMPA), Artspace Mackay, and Reef Catchments – and of course the Mackay Regional Botanic Gardens. We are continually building our network of community participants – get in touch if you’d like to be involved. In July 2017, a unique collaboration between artists and farmers created Sunset Symphony in the Sunflowers in a paddock in regional Queensland. The video above tells the story about how the agricultural community was brought together with a wider public in Mackay, and points to the crucial contribution made by the Australian South Sea Islander Community in the history of the sugarcane industry in Mackay.